As I’ve pointed out previously, I love road trips. I went on a short one a couple weeks ago, up through Minnesota to Thunder Bay, Ontario, then down through Duluth and over to the Upper Peninsula of Michigan, down to Green Bay and across Wisconsin back home – 4 days, 5 states, 2 countries, 2000 miles, and 1 bear I almost hit when he ran in front of my car. And today I’m off again, this time with my kid, to Detroit, Toronto, and Niagara Falls. This road trip, however, is happening for a reason. A real reason, not just to say I’ve driven the entire length of Hwy 61 in North America, or because I’ve never been to a particular city, or because I want a new book cover. First, my novel-in-progress, A Handful of Wishes, has decided it wants to be set in Detroit instead of its current Chicago. I’ve never been to Detroit, so I want to check it out to make sure my story is accurate. But there’s a personal reason for this trip too. In addition to writing and reading and crocheting and gardening and taking random trips, I also love genealogy. 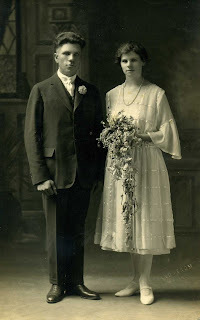 Besides the fun of researching family members, I also love the stories their lives hold. And for one branch in particular, there are a LOT of stories (variations of which are told in my upcoming short-story collection, The Futility of Loving a Soldier). 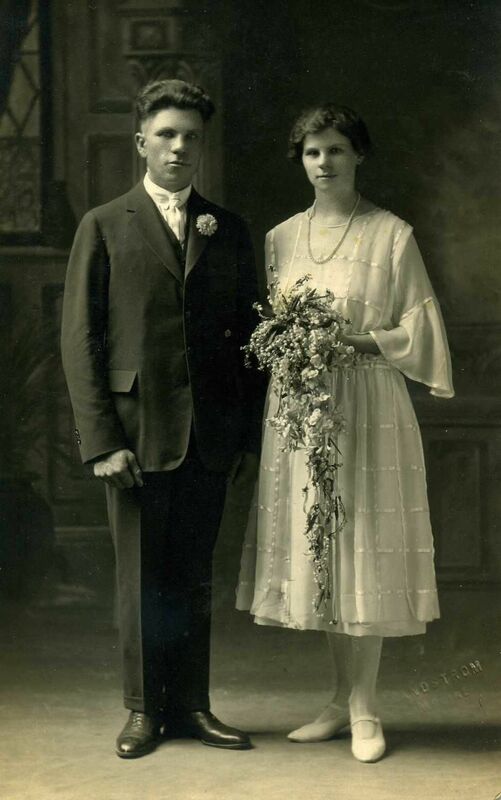 My grandma’s parents both came over to the States from Belgium when they were in their 20’s. They met on a farm my great-grandmother’s relative owned, where my great-grandfather was a farmhand. They got married, had my grandma, and moved to Detroit. 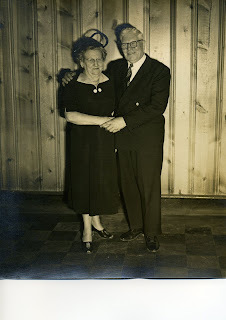 Lots of relationship problems culminated in my great-grandmother falling in love with a bootlegger/truck driver living in their boarding house; she ran off with him, my grandma, and a sewing machine, and together during the Great Depression they traveled all over the Midwest under an assumed name before eventually settling down to run a tavern in the town I live in now. All I know of my great-grandfather is that he stayed in Detroit, worked at Chrysler, and later remarried someone named Agnes. Oh, and he had a temper, and during a fight with her one night he stabbed her. Filled with remorse at her death, he then killed himself. Or so the story goes, 50 years later. I want to find out the truth, be it through obituaries or newspaper articles or anything I can find. And why pay the Detroit Library to do the research when I can go and do it myself? So we’re off to Detroit. My son has been fascinated with Toronto’s public transportation system – subway, bus, ferry – for several years, so we’re spending a couple days there. And then Niagara Falls is so close, we may as well see it too (and yeah, maybe I do want to be able to brag that I’ll have seen all five Great Lakes this summer – we’re detouring up through Sarnia, partly because yes, it rhymes with Narnia). What lengths have you gone to while researching a story? And any suggestions for what to see or do while in Detroit or Toronto (besides “not get shot”)?